[S90] S.S. Lazio manifest of alien passengers, 1 Apr 1907, manifest line 23: age 26, origin Veroli; visit to cousin Gabrielle Panniccia, 339 W Godale St, Columbus, Ohio; also line 22 Raffaele Fiorini (18), Veroli, visit brother Mannerino(?) in Port Chester NY and line 27 Sante Fiorini(?) Veroli, visit nephew Fiorini in NY; in Records of the U.S. Customs Service Record Group 36; Publication T715 (Washington, D.C.: National Archives), roll 858. Online Ancestry.com. [S11] 1920 U.S. Federal Census. Frank (36), b. Italy, imm. 1903, alien, power house foreman; Teresa (36), b. Italy, imm. 1909, alien. [S1181] Arcangelo Fiorini, Certificate of Divorce, original certificate, Arcangelo Fiorini vs Maria Fiorini; divorce granted 23 Nov 1927, case no. 111379; by Charles E. King, Clerk of the Court of Common Pleas, Franklin Co., OH (23 Nov 1927), Collection of Daniel and Mary Christine Fiorini, Columbus, Ohio. [S248] Polk's City Directory R. L. Polk & Co., Columbus, OH, p. 644: Fiorini Arcangelo restr 435 W Goodale. [S1277] World War II Draft Registration Cards, image viewed online FamilySearch.org or Ancestry.com, No. U856; age 62, b. 4 March 1880 Veroli Italy; self-empl 20th Century Restaurant 630 N. High St; contact Joe Priaro 137 E. Warren St; 5' 8", wt. 195, br eyes, gr hair, lt complex,. [S37] Ohio Death Certificate, Reg. Dist. No. 392, Primary Reg. Dist. No. 8187, State File No. 61646, Registrar's No. 4278. 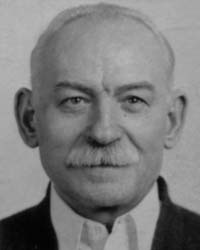 Arcangelo Fiorini, b. Vertoli Pro Roma, Italy, 4 Mar 1880, son of Andrea Fiorini and Salma Marcocccia; res. 139 E. Warren St., husb. of Maria Fiorini, age 56, in community 35 yrs,; d. 632 1/2 N. High St., 18 Oct 1944 at 5 P.M., coronary thrombosis, age 64 yrs, 7 mos, 14 days; inf. Andy J. DiLoreto, 1752 Summit St.; bur. 21 Oct 1944 St. Joseph Cemetery. [S40] Ancestry.com Pagliaroli Family Tree, s362637, owner, online \Ancestry.com\. Hereinafter cited as Pagliaroli FT.
[S1685] Daniel E. Fiorini, "Daniel E Fiorini Family Unit Charts" (Columbus, Ohio).